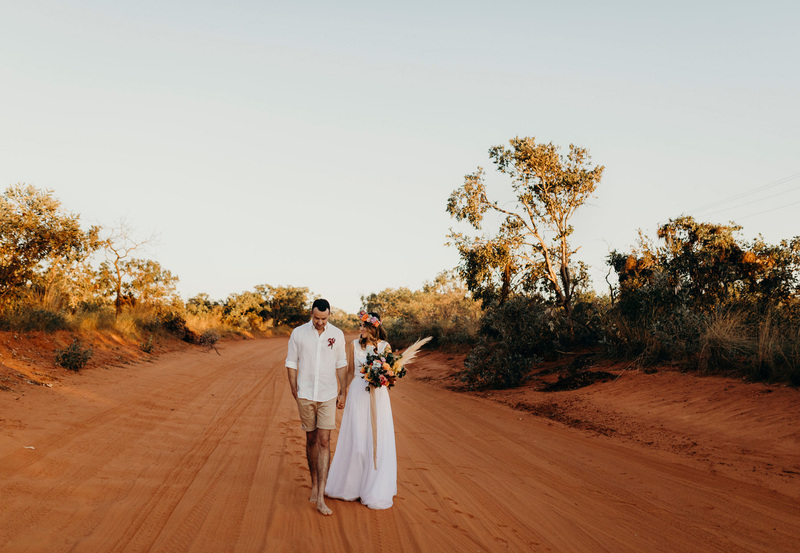 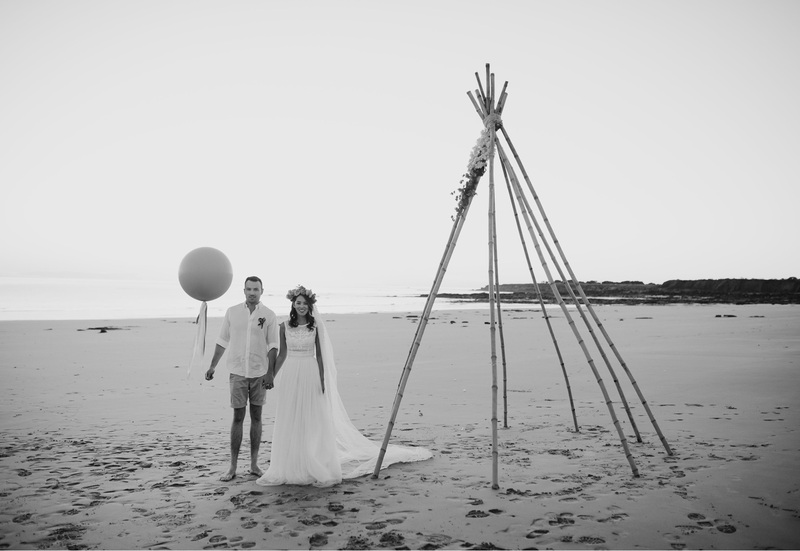 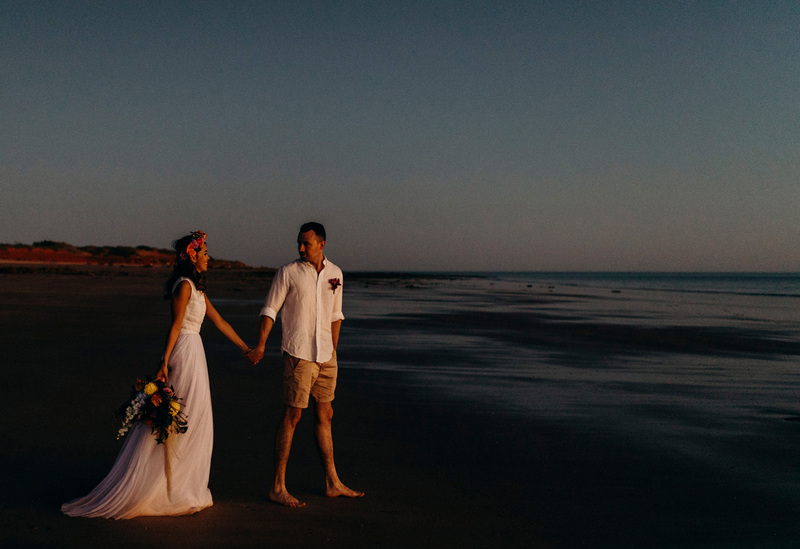 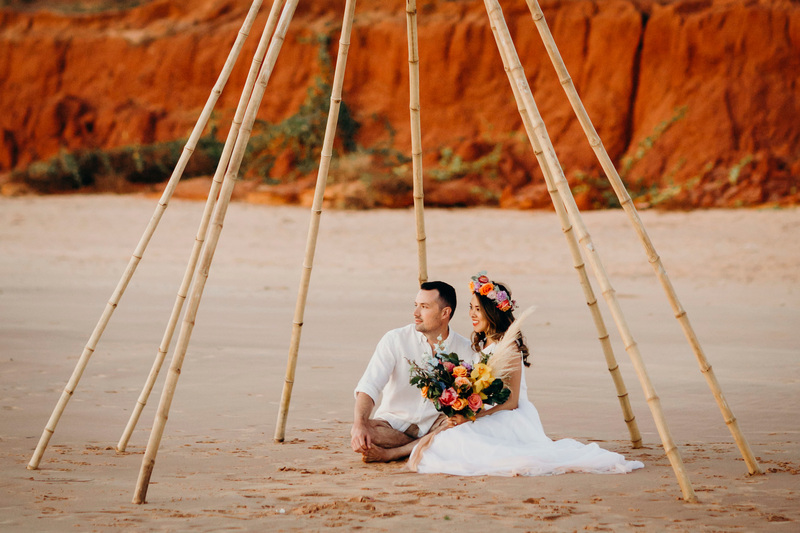 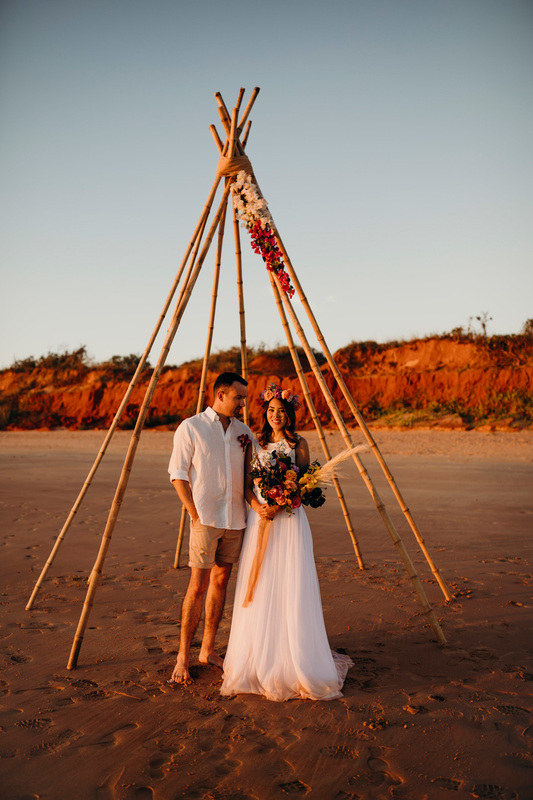 In a unique location of Western Australia, called Broome, we found a little paradise! 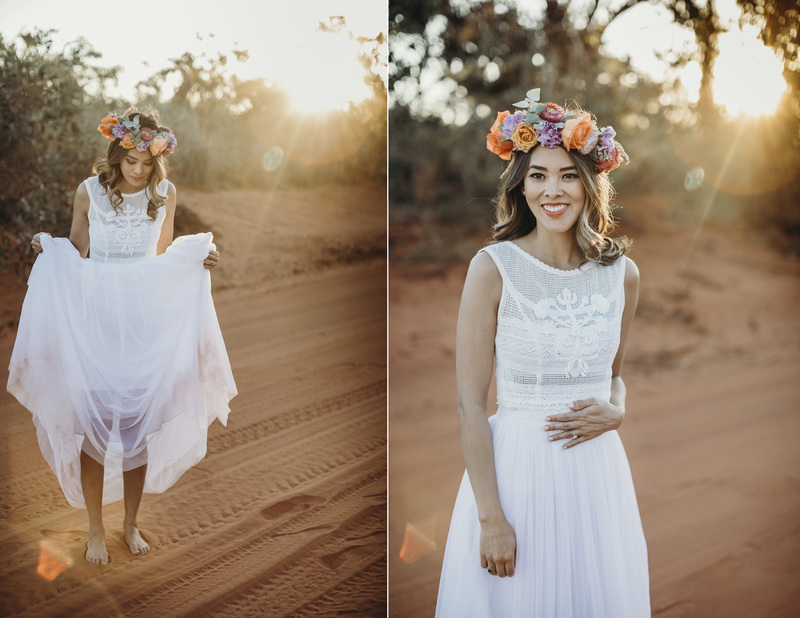 Vast red sand is swept by the turquoise waters of the Indian Ocean, and as the sun sets, it is transformed by the warmest colors! 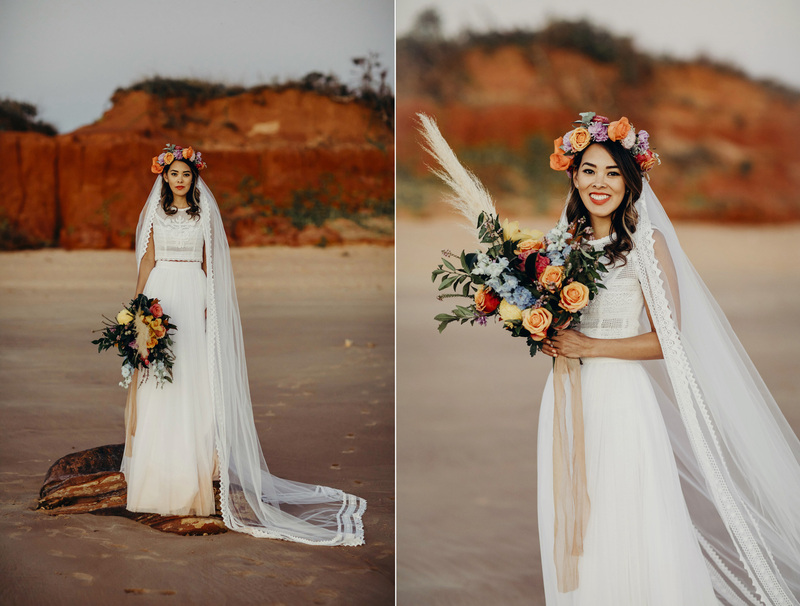 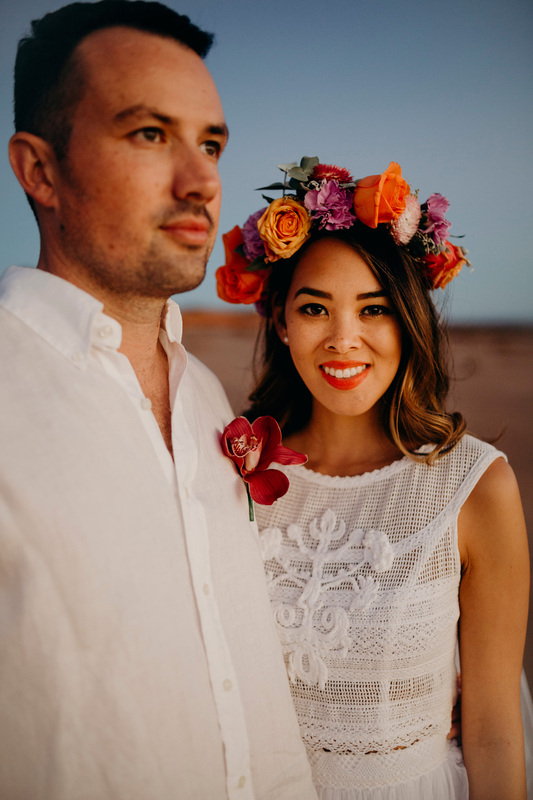 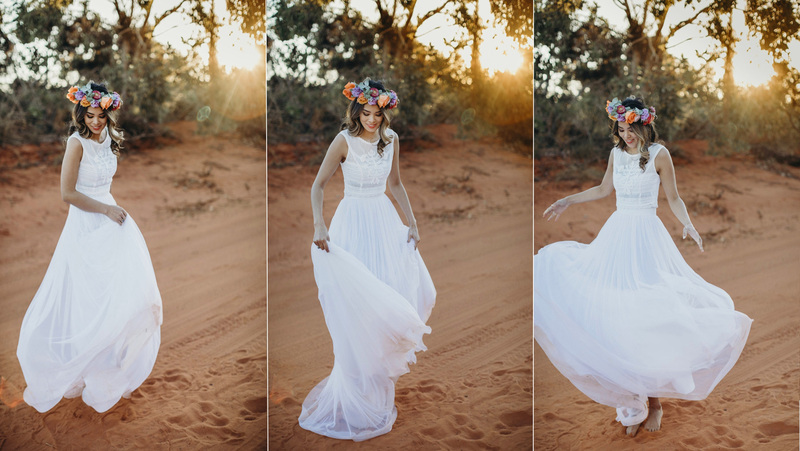 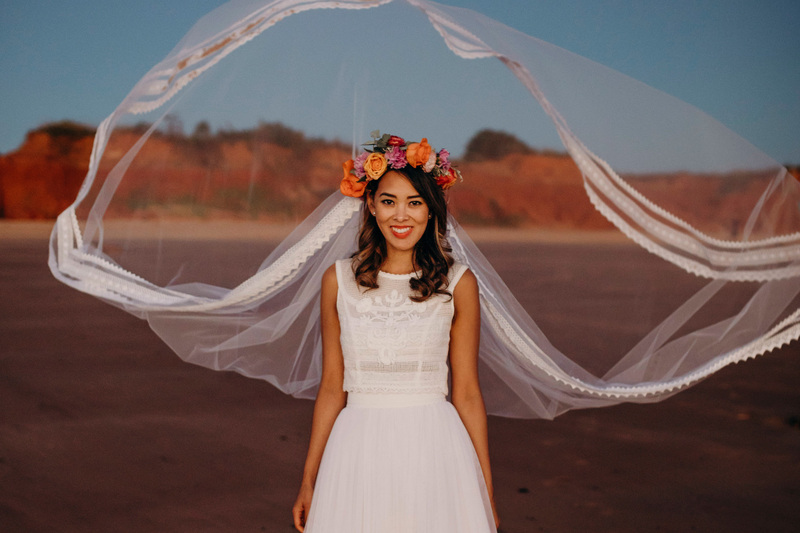 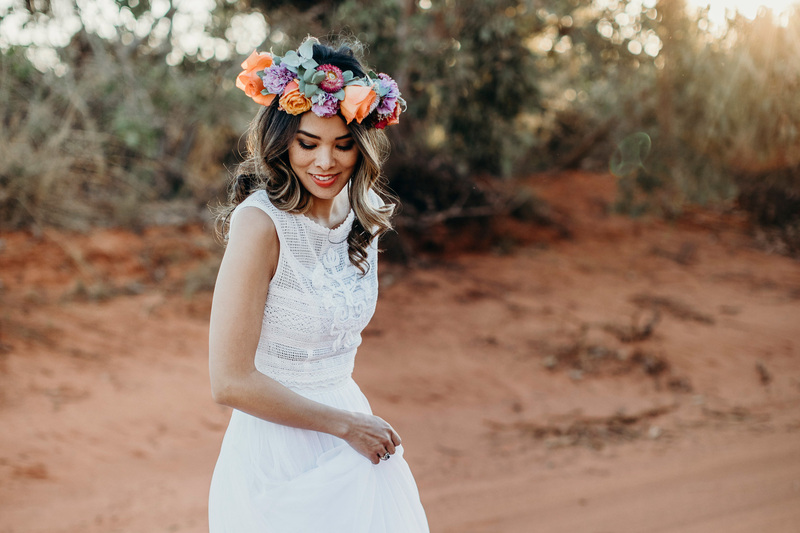 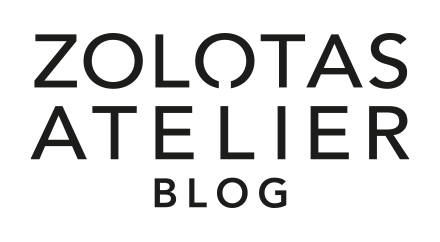 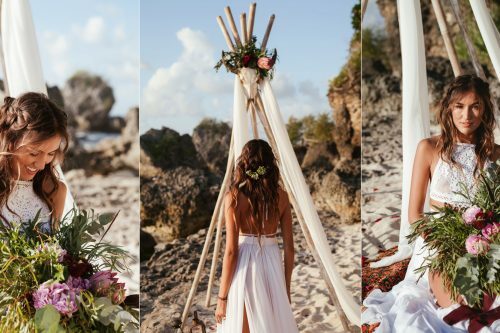 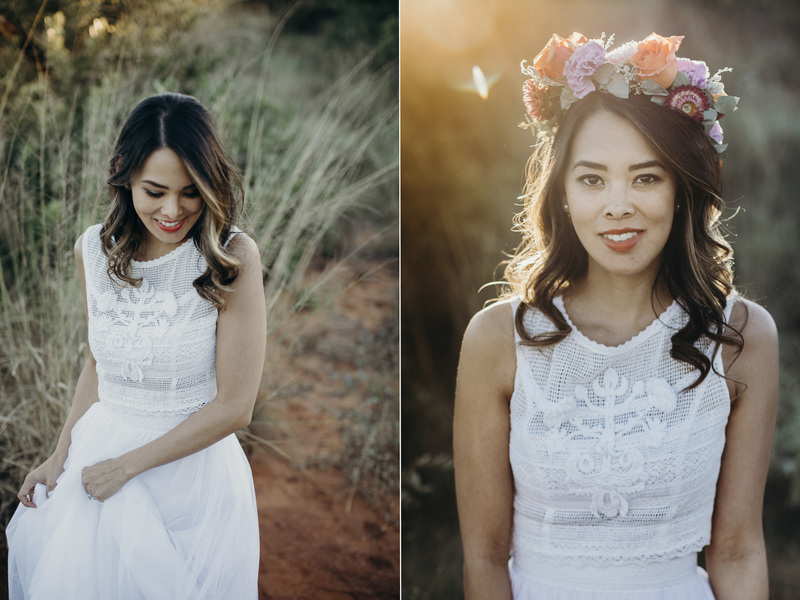 We picked a pure white Crop Top wedding dress (our beloved Hera), and then expanded our color palette big time! 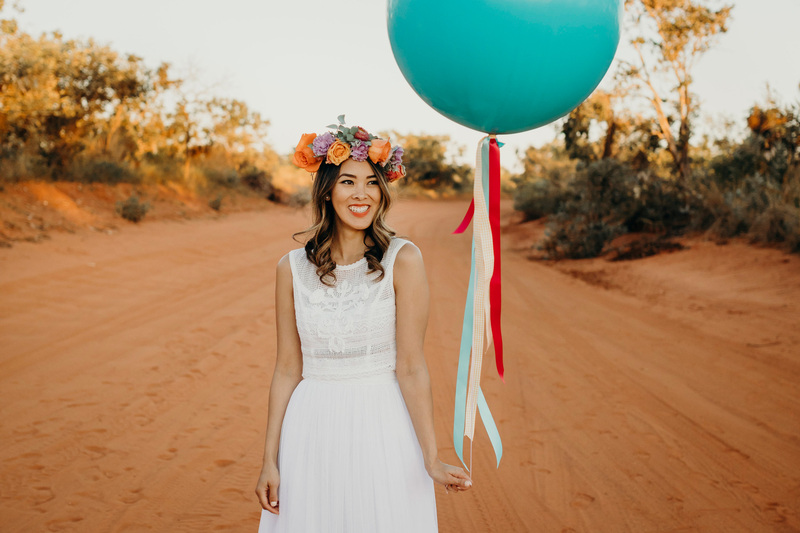 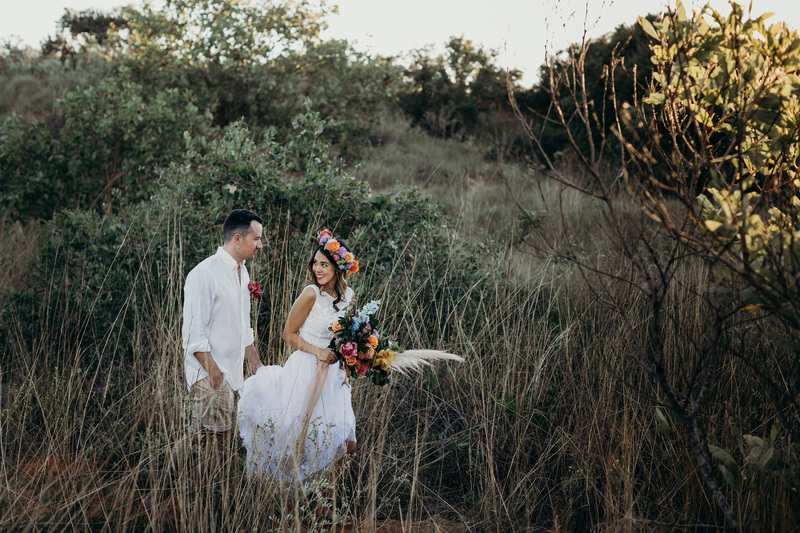 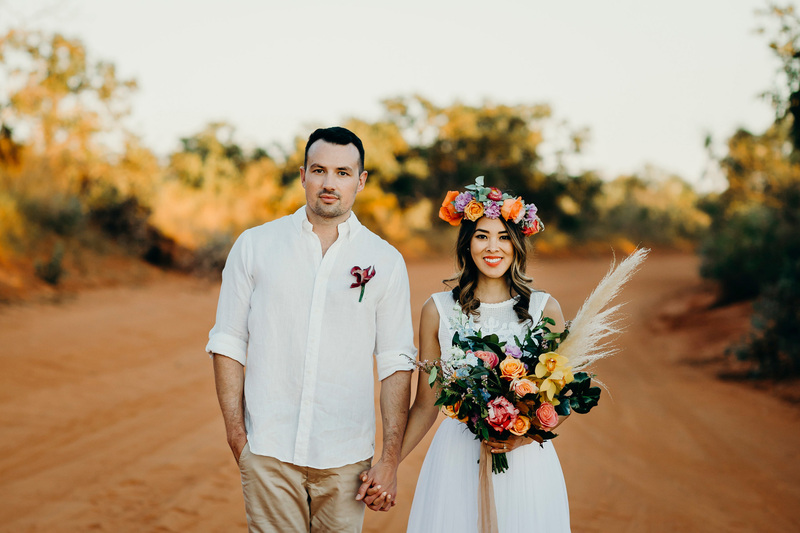 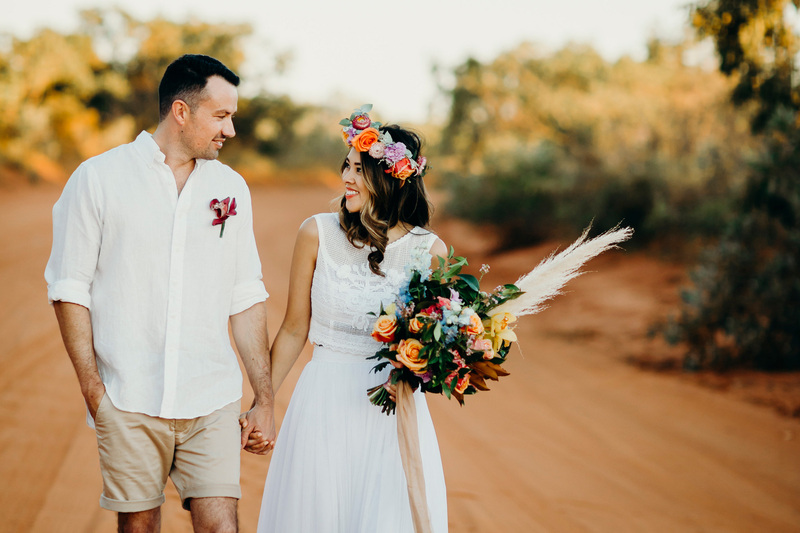 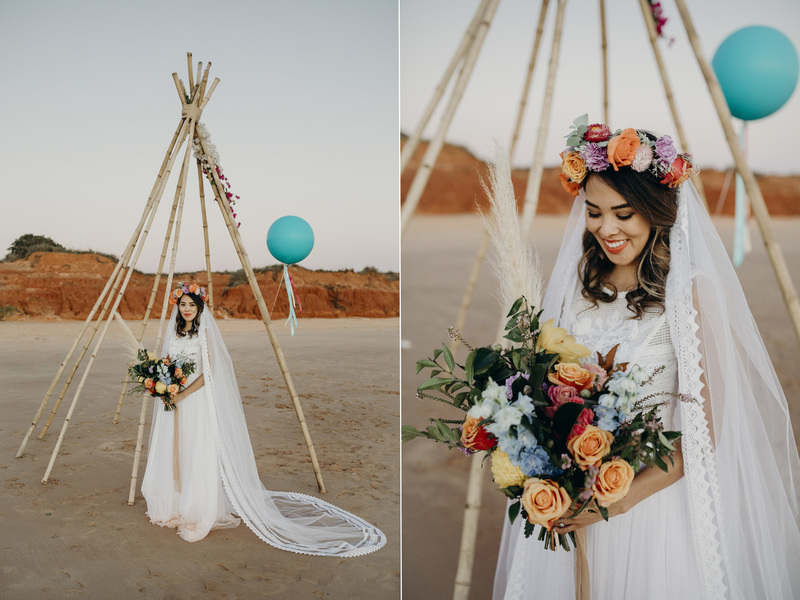 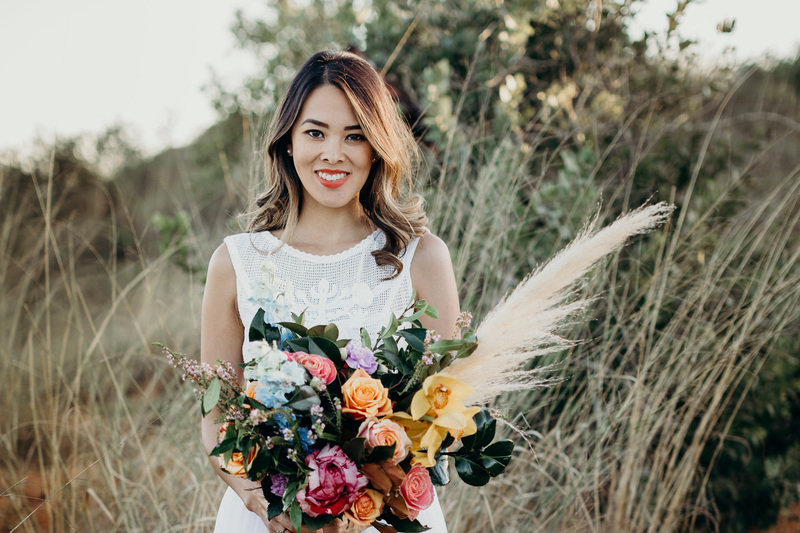 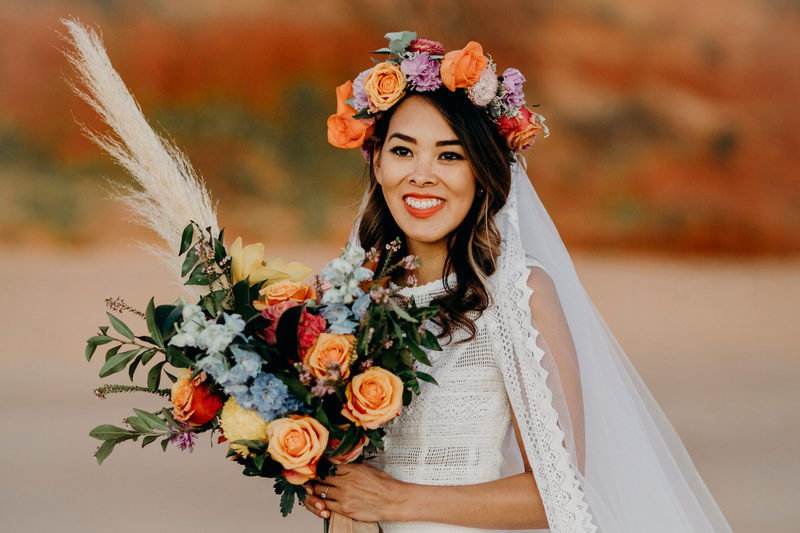 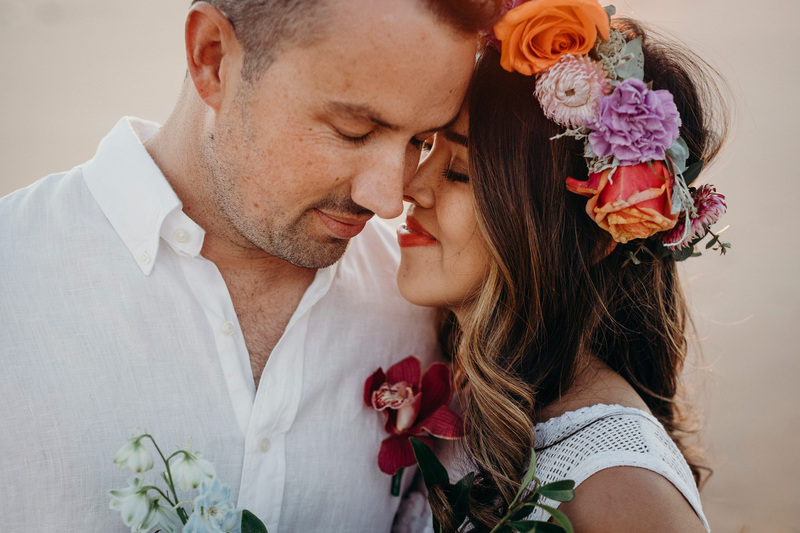 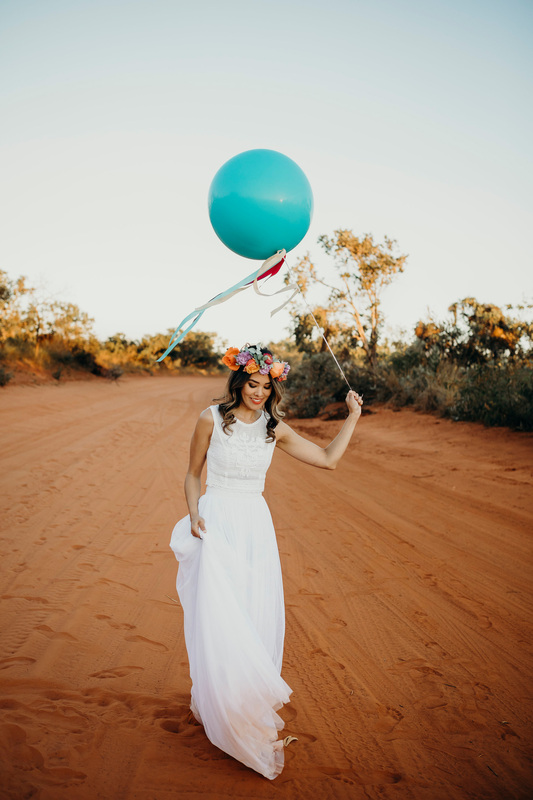 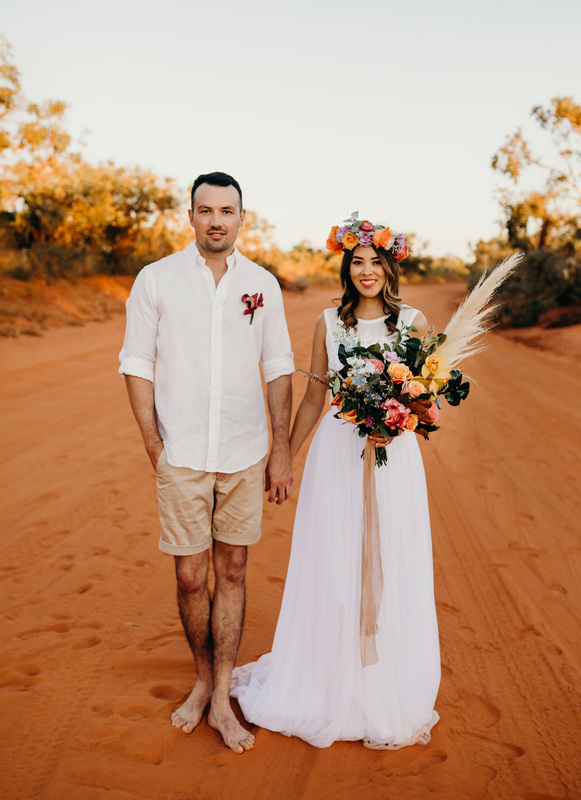 Colorful blooms in the bridal bouquet and floral crown, and also a floral ankle band created the perfect contrast under a long handmade veil… But just to be sure, we let off a turquoise balloon in the sky! 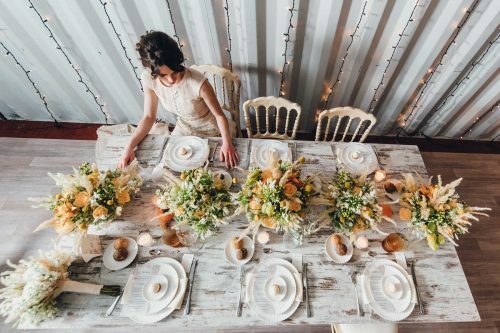 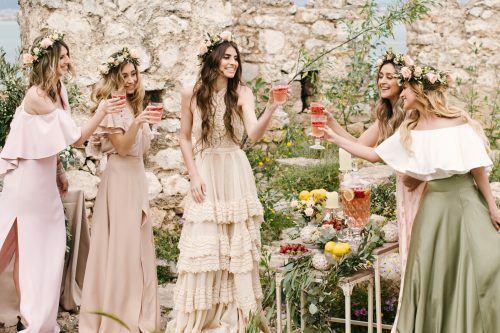 Whenever boho-chic is combined with vintage aesthetic created by hand, the bridal look is elevated to something extraordinary! 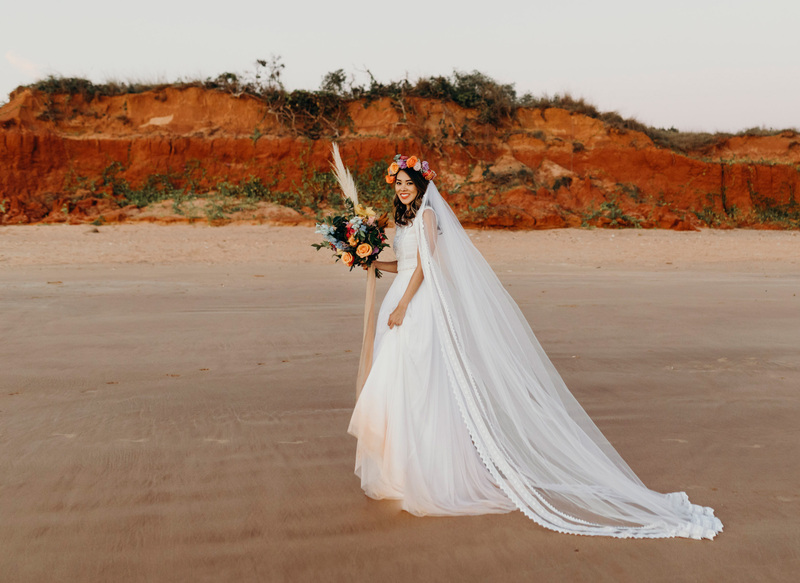 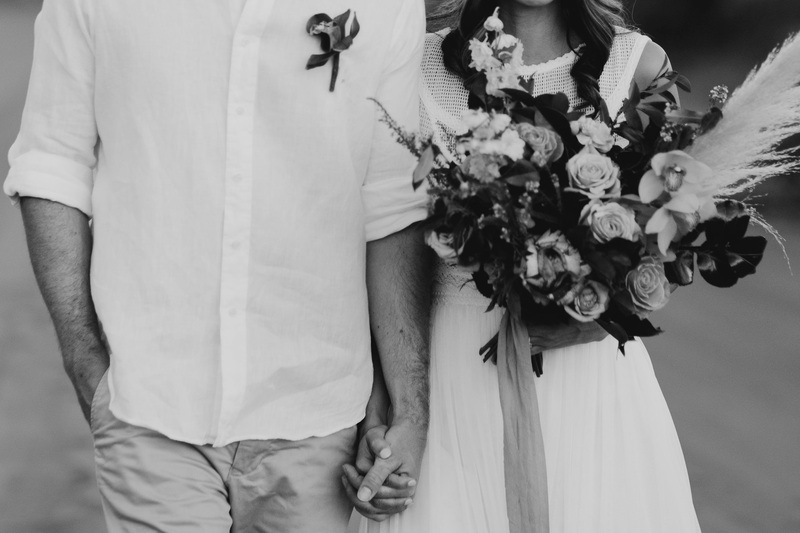 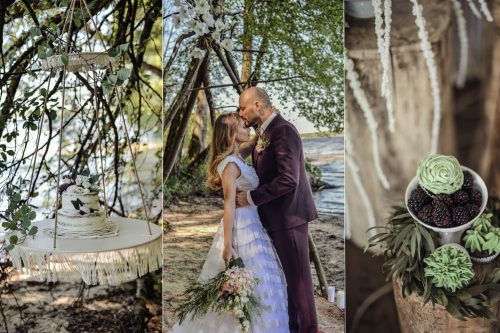 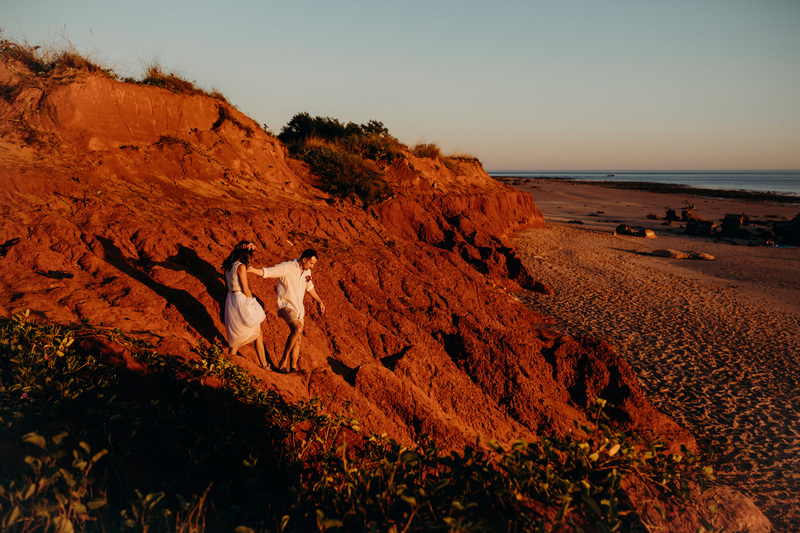 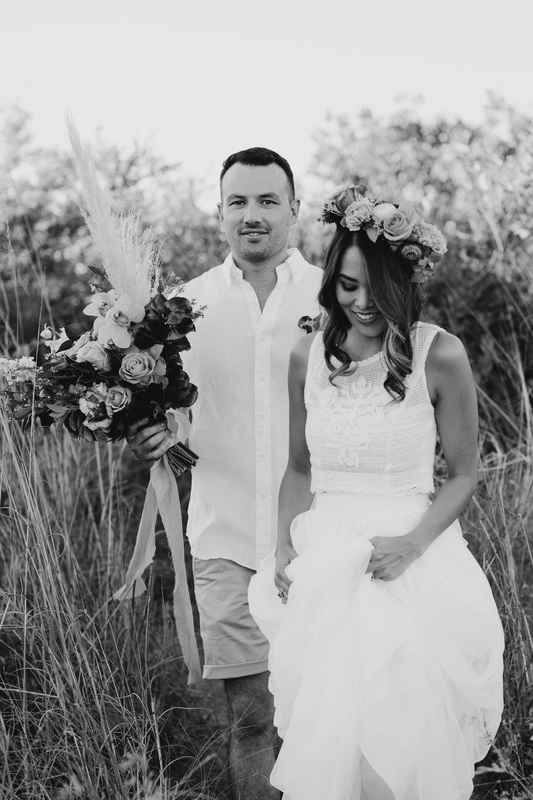 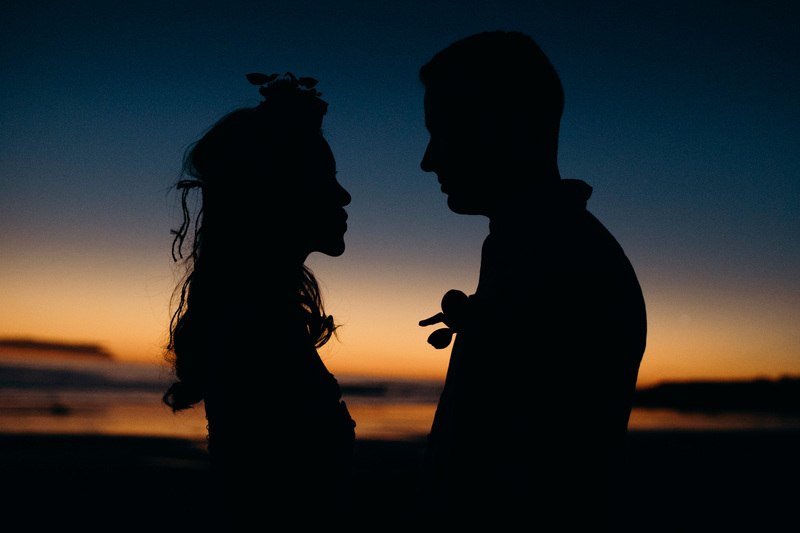 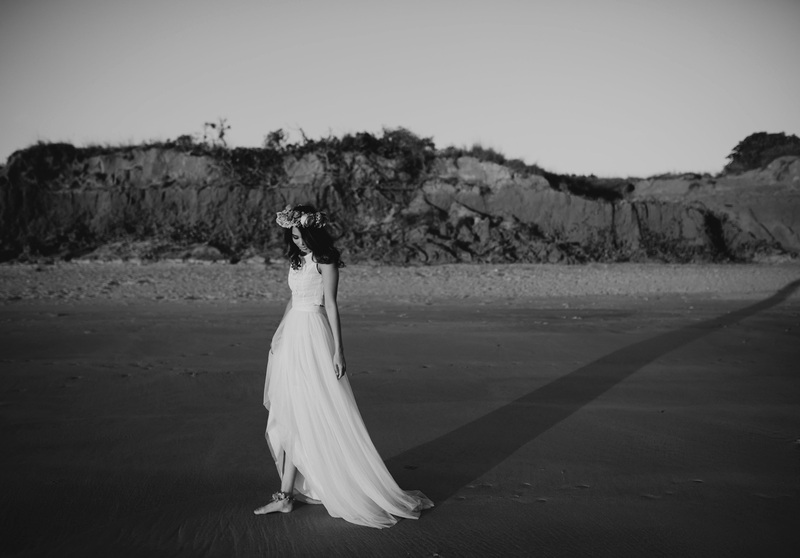 The way organic fabrics breathe and move is unparalleled, but for us, the most special part is the bride who breathes and moves while wearing her wedding dress! 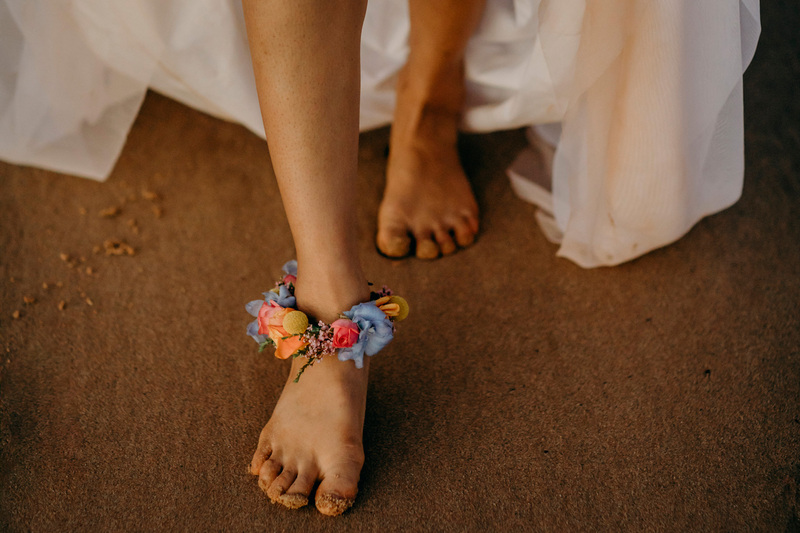 A bohemian state of mind usually calls for a barefoot situation in the sun -that’s the tropical thing to do on such a mesmerizing beach! 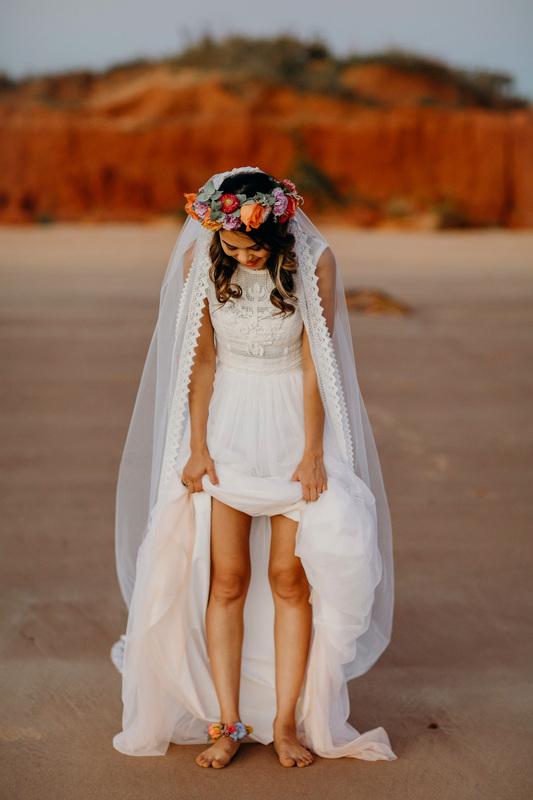 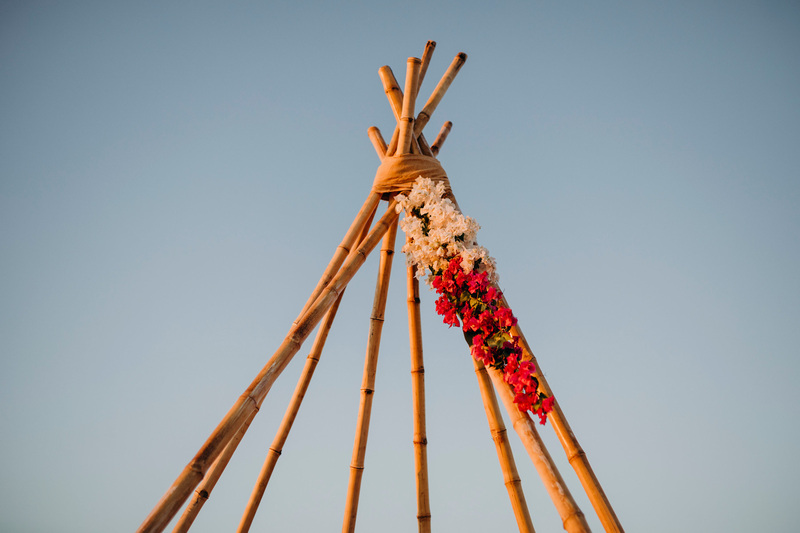 The essence of the summer is captured by Julia Rau Photography, as well as the Grecian spirit, that is felt in every stitch.